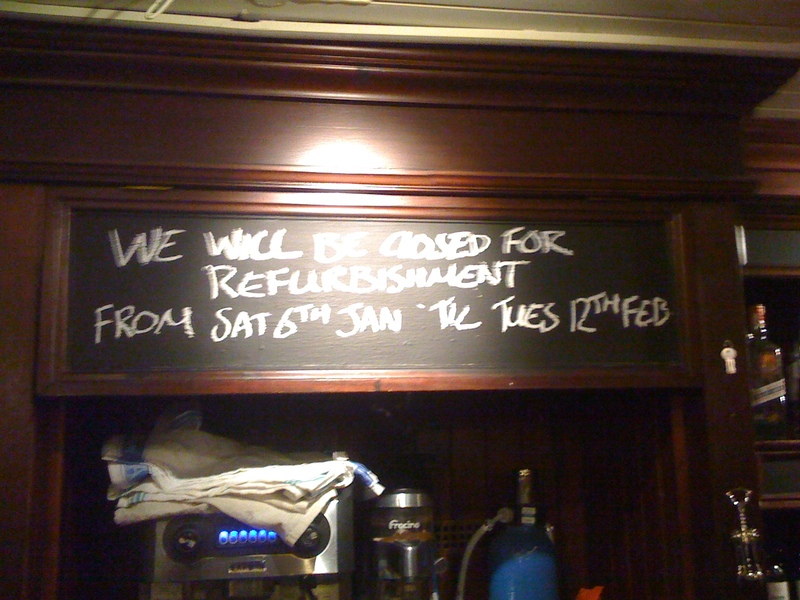 The Hare & Billet pub is closing for refurbishment from 6th January until 12th February. I’ve been contacted by someone working on the pub’s interior design. If anyone has any historical photos of the pub, or information about the origin of the name, please send it over to me and I will forward it on – ideally I’d like to post them here too if that’s ok with you. Thanks! I’ve asked Neil Rhind to contact them. 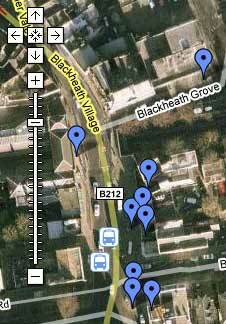 In his book (p186) it mentions that a horse bus route used to run from nearby the pub in the 1840s? Perhaps the name stems from this business? That was the impression I got from looking at the proposed list of new ales on their blackboard: “Adnams Broadside, Dark Star, Hophead, Sambrooks Junction, Sambrooks Pale Ale”. Generally nicer, more expensive ales than the standard Greene King beers. Oh please don’t change it to much. This pub has character, and most important GOOD ALE. Don’t make it in to a yuppie gastro pub, please. I have been away, not well and moved house recently which has not helped as all my research notes have been boxed up the moving men who have also had troubles with the weather. The Hare & Billet was a pub here by about 1730, Land owner was Giles Stubbs – tenant (not necessarilly a publican) was John Broadhurst, groom to Sir Gregory Page, of Wricklemarsh. The site in 1745 was marked as “Stubbs Buildings”. It was known as the Hare & Billet in a sale document of February 1765 so is likely to have enjoyed the name earlier. Some say it is a corruption of Harrow & Billet – but no proof yet and I see no reason why. Earliest known landlord was one William Marriot in 1754. Hope that will clear up a few mysteries.